Quick Dish: Take a Load Off at the HOT TUB SHOW Tonight! 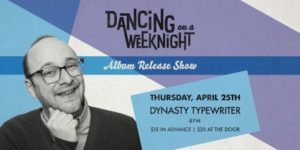 Get your drinks and laughs on at The Virgil TONIGHT, April 21. Mentions: Get your Hot Tub tickets HERE! Doors 7:00pm. Show 8:00pm.